A beautiful tulip picture to color. It is a very simple drawing, that I'm going to turn into a pattern. It also makes a very good coloring page for younger children, with few areas to colors. 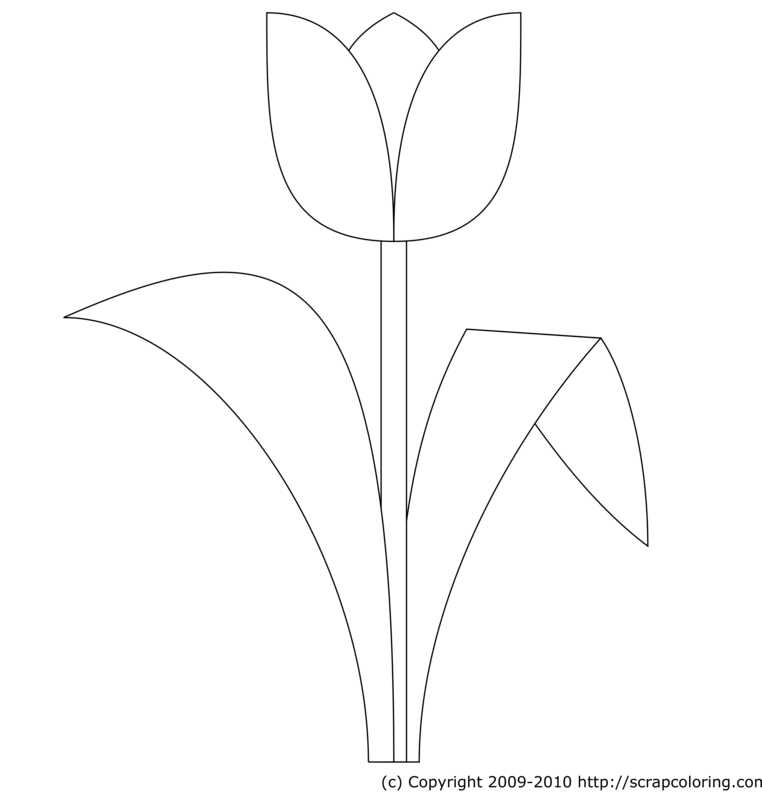 Small kids can color this tulip image several times, print it, cut it, glue it or tape it to create a nice tulips bouquet (or a whole Dutch tulip farm if your kids know how to use the printer by themselves!). What's cool about tulips is that they come in all colors: red tulips, pink tulips, yellow tulips, white tulips, orange tulips, multicolor tulips, and even black tulips! I don't know about you, but I'm crazy about tulips! I must have contracted tulip mania! I'm not the only one: did you know that in the 17th century, in the Netherlands, there has been an epidemic of Tulipomania? The whole country became crazy about tulips, and it started one of the first economic speculative bubble! Tulips and tulips bulbs became hugely expensive. Some of the rarer tulip varieties like the Semper Augustus were traded for 5000 florins for just one bulb in 1635. That was the price of two houses, eight calves or fifteen times the annual salary of a craftman! The next year, tulip prices crashed, and many people were ruined. If you do not see the online coloring page Tulip in black and white above, you need to use another web browser: see the page Supported Browsers.